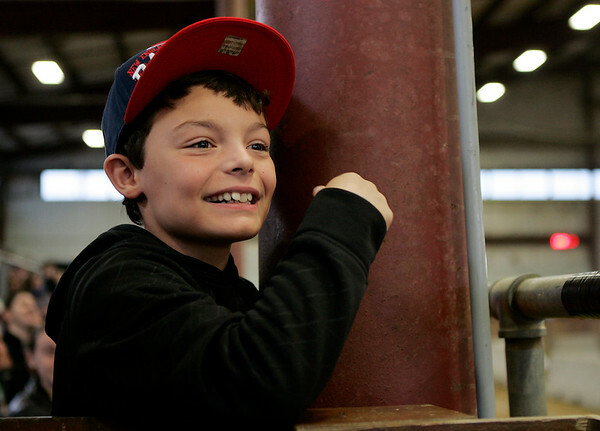 Nine-year-old Ledger Russell, of Sandown, NH, anxiously watches the Figure 8 races in the arena at the Topsfield Fair on Monday afternoon. DAVID LE/Staff photo. 10/13/14.